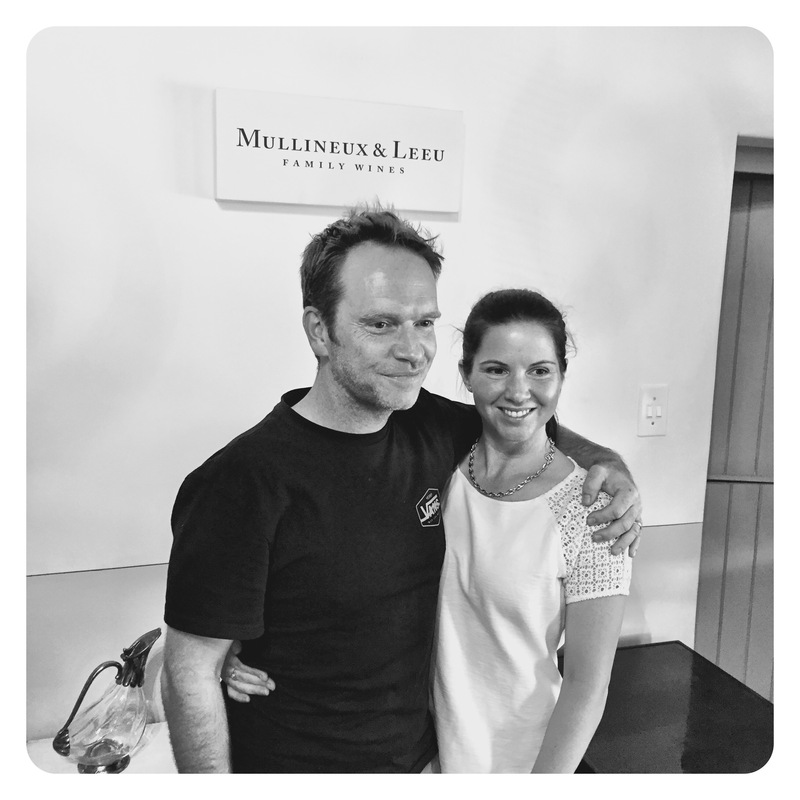 Mullineux & Leeu Family Wines have always been all about bottling the great vineyard expressions of site and soils of the Swartland. 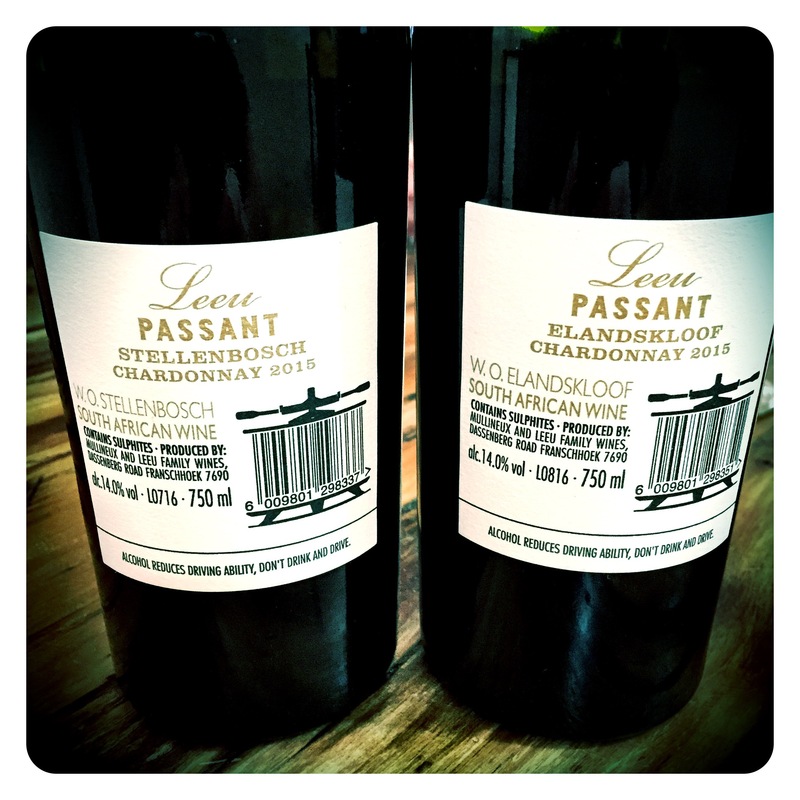 This week saw the first new vinous additions to the growing Mullineux legacy in the form of Leeu Passant. 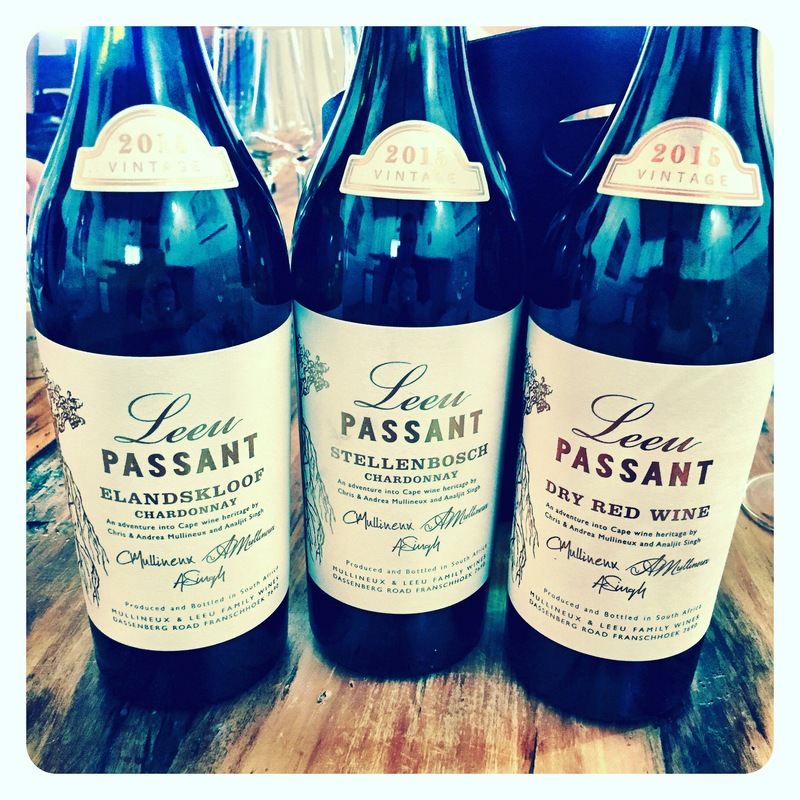 The new range consists of two terroir specific Chardonnays and a dry red blend, which is a deconstruction and reconstruction of the venerable Cape wines of the 50’s, 60’s and 70’s with almost equal portions of Cabernet Sauvignon, Cinsault and a “modern” twist of Cabernet Franc.With the European Launch of Leeu Passant set to take place in London on the 5th April, when I’ll be in Bordeaux tasting En-primeur 2016 wines, it was fortuitous that I was staying with Chris and Andrea in the Swartland at just the right moment to experience these wines pre-release. 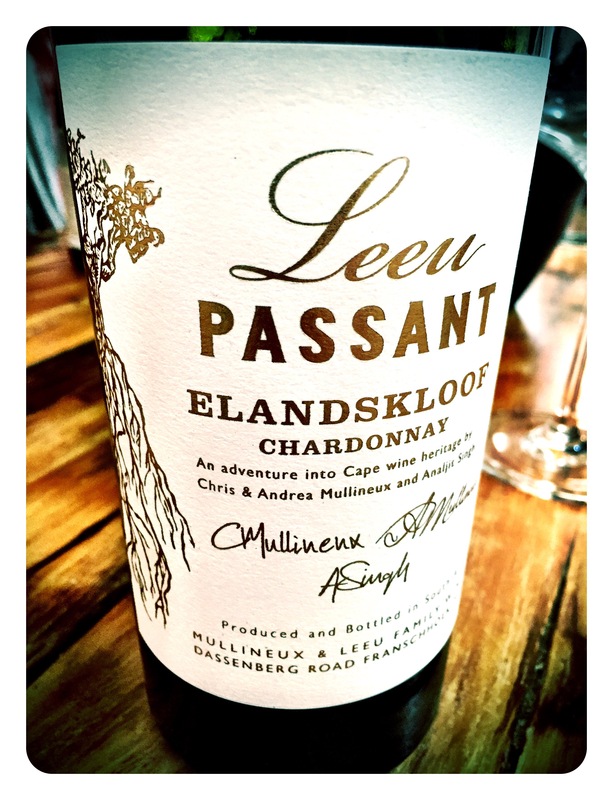 Leeu Passant Elandskloof Chardonnay 2015, 14 Abv. Very rich intense opulent nose, layers of pineapple pastille fruits, green apple and green citrus crunch. All natural ferment with indigenous yeasts, and all natural malolactics. Complex sweet green fruits, subtle creamy oak from 12 months ageing and another 10 months in bottle. The palate is taught, fresh and crunchy, some waxy white peach notes, flinty minerality and a noticeably cool, restrained dry finish. Plenty of power with animated subtlety. 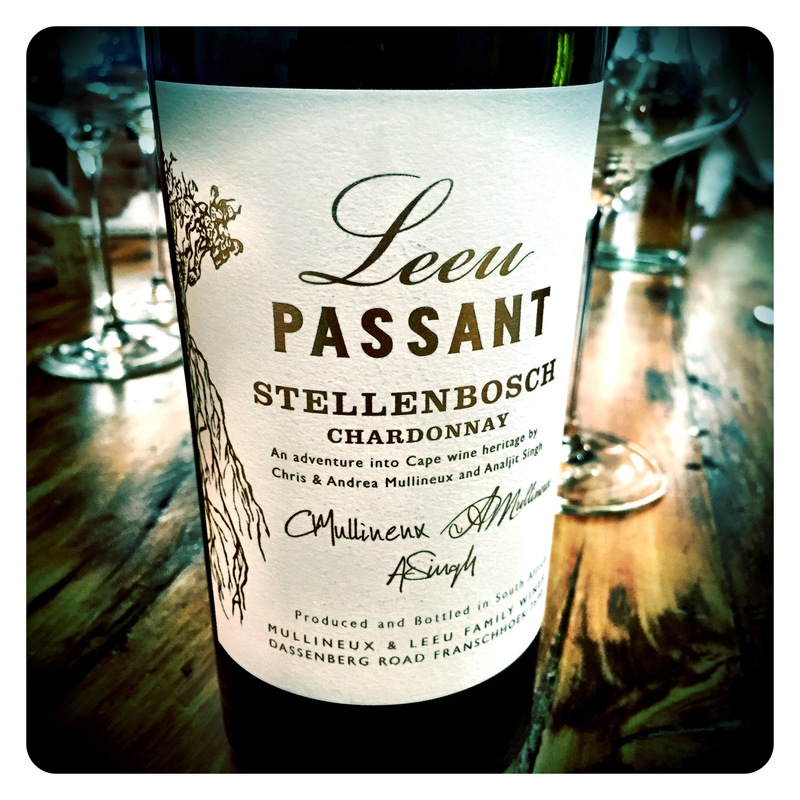 Leeu Passant Stellenbosch Chardonnay 2015, 14 Abv. This is a blockbuster wine. Sweet green quince, crunchy pears and pineapple pastille fruits, Bon Bon green apple crunch and subtle hints of struck match reductive complexity and gravelly, saline pithy fruit. Incredible acidity showing real power and drive, and incredible precision. High acid, bottled at 8 TA. Also such subtle, considerate oak use, fine integration of fruit and acids and again, like the Elandskloof version, finishes bone dry and elegantly restrained. A very impressive, complex Meursault’esque Stellenbosch Chardonnay illustrating the grandeur and terroir of this premium SA region. Superb… A must buy for Chardonnay obsessives! 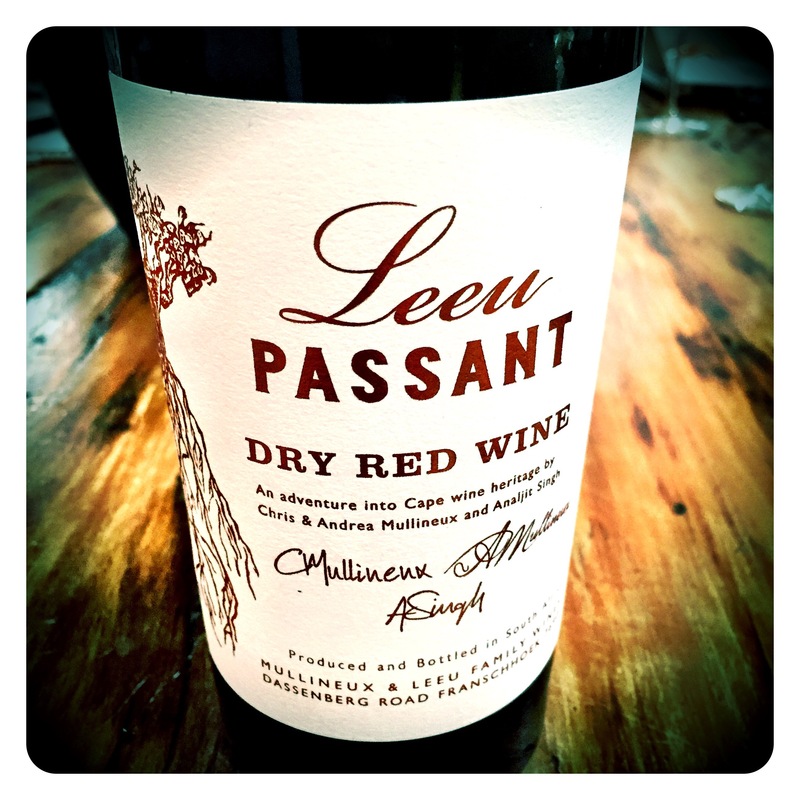 Leeu Passant Dry Red Blend 2015, 13.5 Abv. 36% Cabernet Sauvignon, 33% Cabernet Franc, 31% Cinsaut. The Wellington Cinsault at 117 years old is the oldest recorded Cinsault vineyard in SA, blended with a more youthful 91 year old vineyard from Franschhoek. The Helderberg Cabernet Sauvignon is 36 years old and the Cabernet Franc 18 to 20 years old. Lovely peppery, spicy leafy nose of plum, peppercorns, sweet bramble berries, hedgerow, bergamot and sappy cherry spice. There’s a real opulent confit fruit character, impressive ripeness, fragrant but simultaneously mineral and restrained. There is also a real dusty granitic vein, a chalky, spicy texture and sweet red currant and raspberry sappy fruit. Punchy, intense, really focused but with real mouthwatering drinkability. Beautifully fine harmonious texture, and tight polished tannins. A true testament to South Africa’s red winemaking heritage. A very classy wine. Volumes PER wine: Elandskloof Chardonnay ~ 2000 bottles, Stellenbosch Chardonnay ~ 3000 bottles, and 4,000 bottles of Leeu Passant Dry Red.